You’re on an elevator. An earthquake hits. It’s scary. The power goes out, and now you’re stuck. And you gotta go, bad. Luckily, Japan is putting emergency toilets on elevators to prevent such nightmares. Japan’s infrastructure ministry and toilet companies now want to put portable loos on all lifts—as well as drinking water supplies, too. These toilets could apparently be as simple as a cardboard box with a waterproof bag inside. 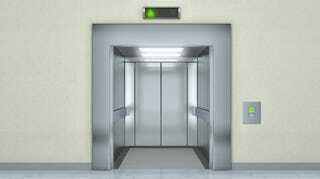 Why the sudden interest in elevator emergency protocols? Well, last Saturday an 8.1 magnitude quake stopped 19,000 Japanese elevators in their tracks. One rescue mission took over an hour, freeing people who were trapped in 14 elevators. For a country synonymous with “earthquakes,” it’s a problem of national proportions. Last week’s quake hit over 600 miles south of Tokyo, in the Pacific, but shaking was felt across the entire country. It was the first time that’s ever been recorded, and the sixth-strongest quake since 1885. The Japan Elevator Association says there are over 150,000 elevators in Tokyo alone. (For context, there are 58,000 in NYC, as of 2008.) Scientists say when (not if) the next Big One hits Japan in the coming decades, over 17,000 people could be trapped. The new toilet initiative isn’t a huge surprise—after all, Japan’s high-tech thrones are of global renown. Plus, when one of your capital’s main attractions is a 2,000-foot tower—the second tallest structure in the world—well, you gotta be prepared.